LASC is extremely concerned by the escalating violence in Honduras since elections were held on 26th November 2017, and particularly condemns the use of violence against peaceful protesters and the many irregularities that marred this election. Below you can find a timeline of events, which we have compiled after consulting with news sources and our partners in the region. On the day before the election, The Economist magazine published details of a leaked recording of a training session for members of the ruling National Party that would be manning polling stations, which revealed the existence of a ‘Plan B’ to rig the election if the vote tallies were not favourable to President Hernandez. During the counting of votes, the TSE (Supreme Electoral Tribunal) issued a preliminary report that revealed a clear lead for challenger Salvador Nasralla and what experts considered an “irreversible” trend in his favour, despite the early closing of polling booths by the TSE. In the aftermath, however, the TSE contradicted its earlier report, amid claims that the country’s computer voting system had “gone down” for 5 hours. The TSE then announced tallies that gave a lead to Hernandez, although it withheld formally announcing a winner. The immediate effect of this announcement was to spark nationwide protests calling for the resignation of Hernandez and the installation of Nasralla as president. These protests were largely peaceful, but were met with violent repression by state forces, which used live ammunition against unarmed peaceful protesters. This approach resulted in the death of 19-year-old Kimberly Fonseca, and many others. The level of violence was such that members of the elite anti-terror unit within the national police, Cobra Squadron, refused to continue participating in the repression of fellow citizens. 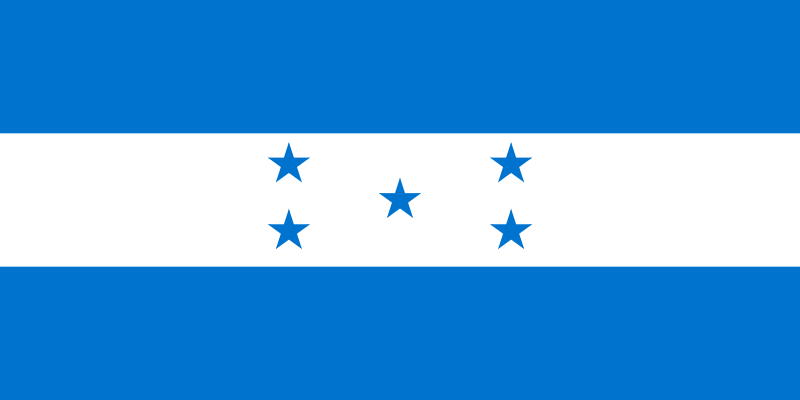 The government of Honduras imposed a state of exception, suspending civil liberties. Human rights defenders and members of the international media were detained, deported and denied entry during this period of repression, as detailed by the Knight Centre for Journalism in the Americas and the Columbia Journalism Review. Details of the human rights abuses have been documented by a range of grassroots and civil society organisations, in the face of grave danger. At LASC we have maintained constant communication with the Platform for Social and Popular Movements in Honduras. The organisation formerly led by assassinated former Goldman Environmental Prize Winner Berta Caceres, COPINH, have also documented details of this abuse. Meanwhile a number of international media and non-governmental organisations, together with social scientists, carried out analysis of the voting data from the November 26th election. Analyses by The Economist and the Centre for Economic and Policy Research point clearly to the statistical improbability of a Hernandez victory. In the midst of these turbulent events, it emerged that the US State Department had certified Honduras supporting international human rights norms in order to release further military aid to the government. Along with the issues highlighted by the EU election observer mission, the OAS has identified the following serious issues with the electoral process: “Deliberate human intrusions in the computer system, intentional elimination of digital traces, the impossibility of knowing the number of opportunities in which the system was violated, pouches of votes open or lacking votes, the extreme statistical improbability with respect to participation levels within the same department, recently printed ballots and additional irregularities, added to the narrow difference of votes between the two most voted candidates”. The combination of these issues, according to the OAS, “make it impossible to determine with the necessary certainty the winner” and they have issued a call for fresh elections. In a letter received by LASC from the Ambassador of Honduras to the United Kingdom, dated 17th of December his Excellency refers to communications between the TSE and OAS regarding these issues, presenting it as an element of the purported transparency of the process. Nevertheless, the call for fresh elections issued by the OAS has been flatly rejected by Vice President Ricardo Alvarez. International solidarity efforts have increasingly come to focus on the role of the US in supporting the Hernandez regime. For example, a group of leading academics from high-ranking universities across the Americas have written to US Chargé d’Affaires Heidi Fulton urging protection for human rights and support for fresh elections. Many experts believe that without a significant change in the attitude of the US government, the Hernandez government is unlikely to change its approach. At present, however, such a change by the US appears unlikely. Update 06/01/18: The United States, Spain, Argentina, Colombia, Brazil, Italy, France, Taiwan, Canada, Costa Rica, Guatemala, Belize, Panama, Russia, China, Mexico, Georgia, Israel, Kosovo and South Korea have all recognised Juan Orlando Hernández as President-elect, in spite of ongoing global protests. In summary: Members of the government party of Juan Orlando Hernandez are on record prior to the election stating an intention to fraudulently rig that election; there is clear and sufficient data from reliable sources as to the fact of this electoral fraud; the fraud has been imposed on the Honduran people by force, and any resistance, even peaceful, has been brutally put down; the government is refusing to heed calls from international organisations to reverse its course.